In the past our API Bindings installation and usage guides did assume that a user already knows one of our languages. In the last days we improved the old documentation considerably. It should now be possible to to install the API Bindings and test an example as a novice without having to look it up anything somewhere else. You can find links to the usage and install guides for each language in our documentation. One suggestions we got very often in the past was to use packages and package repositories for languages that have this feature. At first we didn’t like the idea since all of our Bindings are automatically generated and uploading a package to a repository adds an otherwise unnecessary manual step to the process of releasing new Bindings. It was organized by the Java User Group Hamburg, Sven Ruppert (Codecentric AG) and Alexander Bischof. Bastian was there to attend the event. 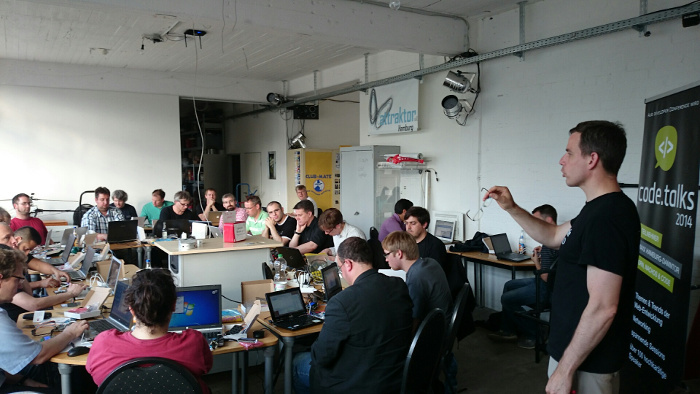 The participants where invited in the accommodations of the “Hacker- und Makerspace Attraktor e.V” and could realize their ideas with the Tinkerforge building blocks. It was very nice to look over their shoulders and to discuss different ideas and possible improvements with the participants. We already released some of the suggested improvements today. Sven has also written an article about the event. You can find it here (in German) . More LiveHackings will take place all over the country. We will support Sven Ruppert on these events. Many thanks for all the positive feedback and the ideas for improvement! We look forward to the next events. With the new firmware version 2.0.4 the LED Strip Bricklet now also supports the LED drivers WS2811, WS2812 and WS2812B (sometimes also called “NeoPixel”) additionally to the already supported driver WS2801. 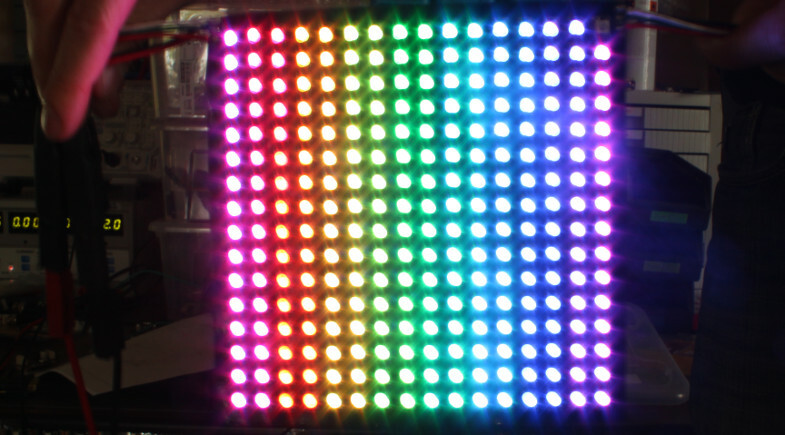 The tested it with different LED strips as well as a 256 Pixel LED matrix from different manufacturers. At the Maker Faire we also had a WS2812B strip connected to a RED Brick which was running two days straight without any hickups. The tutorials in the documentation has also been updated accordingly. It now also describes how you can connect the newly supported drivers (the clock line is not used anymore).